Some of the toughest athletes are those whose jobs are to protect the goal line at all costs. 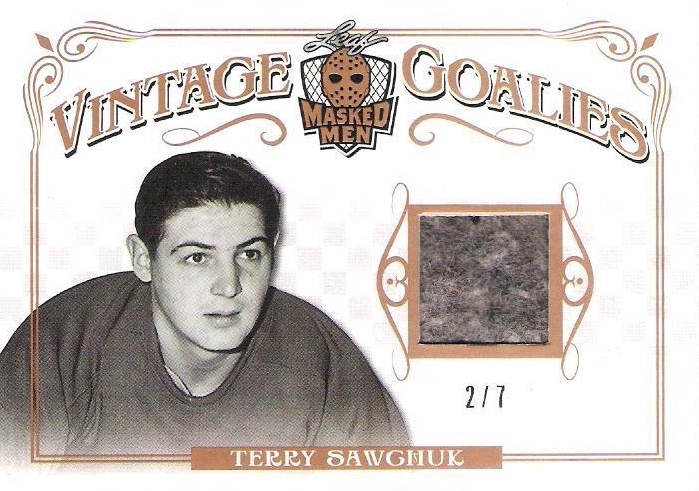 Recognizing this, 2017 Leaf Masked Men Hockey celebrates the best goalies in its debut release. Each box promises three memorabilia or autograph cards and three metal cards. 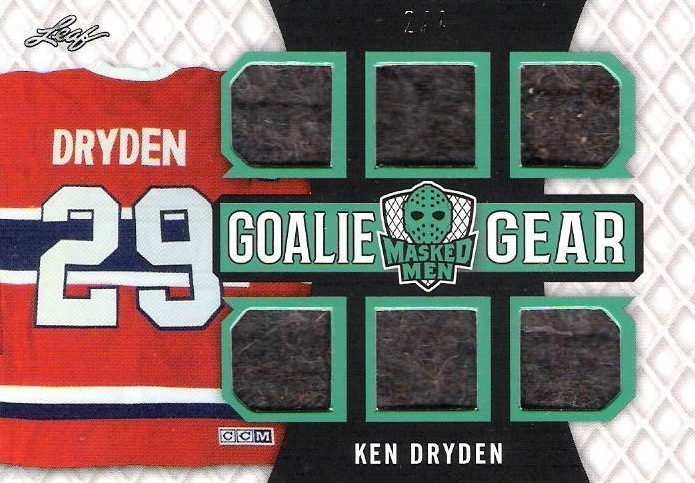 Even though 2017 Leaf Masked Men does not have a true base set, it does offer plenty of game-used memorabilia from noteworthy men behind the masks. 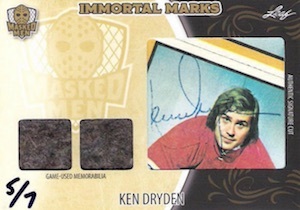 Single-player cards include Shutout inserts with a relic for legends who could read any situation and make the proper save selection, while Jumbo Pad cards feature an oversized swatch. 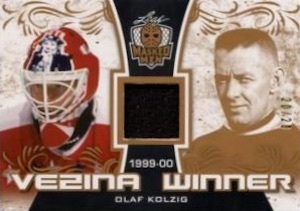 Other options include the Vezina Winner set highlighting goaltenders who have received the prestigious award, and Vintage Goalies cards honoring players who paved the way such as Georges Vezina. 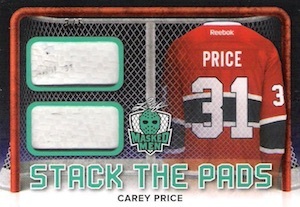 Single-player, multi-memorabilia cards include the dual relic Stack the Pads insert, along with a massive six-piece Goalie Gear card that showcases relics from gloves, pads, skates, and sticks. 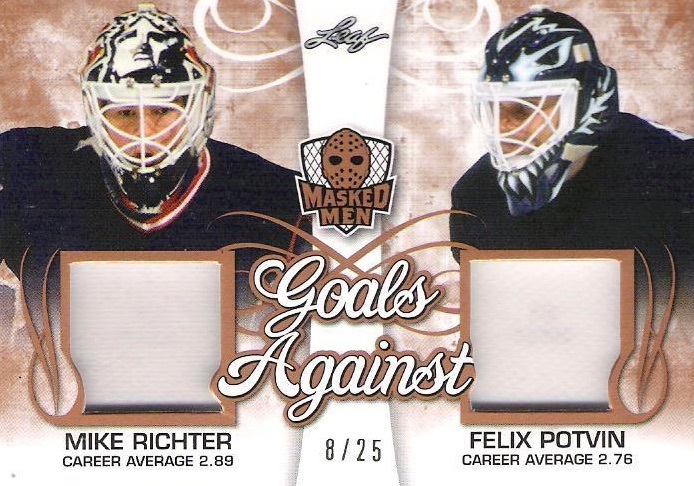 Goals Against dual relics combine players with a spectacular goals against average (GAA) such as Roy Worters and Jacques Plante. Pairing the game's all-time legends or a franchise's best goaltenders, Goalies Legacy Six offers a six-player, six-swatch card. 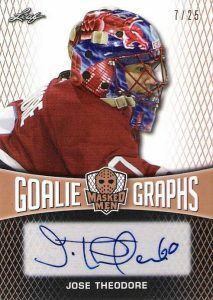 Although not the main focus of 2017 Leaf Masked Men, collectors can still find a few autographs including Goalie Graphs and Signature Goalies, which displays an autograph and a relic piece. 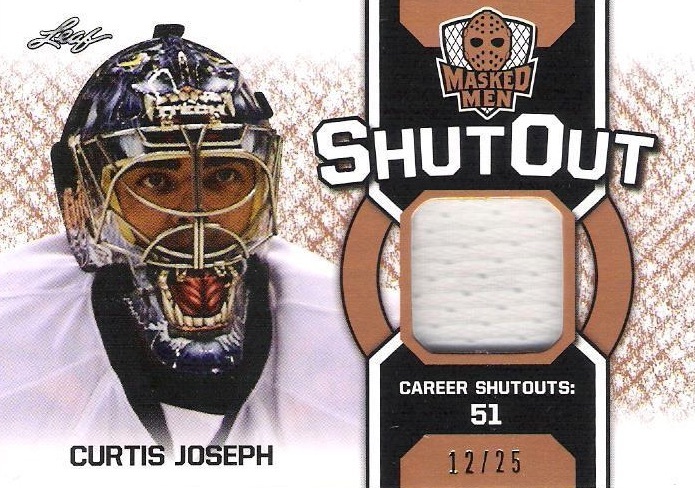 Lastly, the main insert Masked Men uses Leaf's Metal technology to create memorable cards with nine color parallels. PARALLEL CARDS: Emerald #/5 or #/4*, Platinum #/3 or #/2*, Gold 1/1, Printing Plates 1/1. PARALLEL CARDS: Emerald #/8 or less, Platinum #/3 or #/2, Gold 1/1, Printing Plates 1/1. PARALLEL CARDS: Emerald #/9 or #/3*, Platinum #/5 or #/2*, Gold 1/1, Printing Plates 1/1. 8 cards. Shop on eBay. PARALLEL CARDS: Emerald #/8 or less, Platinum #/4 or less, Gold 1/1, Printing Plates 1/1. 2 cards. Shop on eBay. PARALLEL CARDS: Emerald #/5, Platinum #/3, Gold 1/1, Printing Plates 1/1. 29 cards. 3 per box. *No card #22 listed. * Shop on eBay. PARALLEL CARDS: Wave Foil, Blue Prismatic #/35, Purple Prismatic #/25, Pink Prismatic #/15, Black Prismatic #/10, Green Prismatic #/5, Red Prismatic #/3, Gold Prismatic 1/1, Super Prismatic 1/1, Printing Plates 1/1. PARALLEL CARDS: Emerald #/7 or less, Platinum #/3, Gold 1/1, Printing Plates 1/1. PARALLEL CARDS: Emerald #/5 or less, Platinum #/2 or 1/1, Gold 1/1, Printing Plates 1/1. PARALLEL CARDS: Emerald #/3* or #/2, Platinum #/2* or 1/1, Gold 1/1, Printing Plates 1/1. 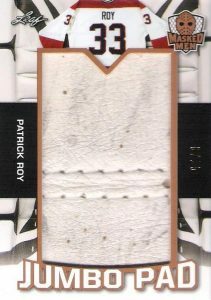 I hope these are only mock-up images because 2 of the cards featuring Patrick Roy show Jocelyn Thibault instead of Roy!!! Are you serious? Can’t you read? And you’re rating unreleased product. I’ve opened six boxes and haven’t hit a dud box yet. 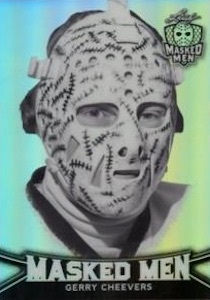 Arguably, Leaf’s best hockey product to date.